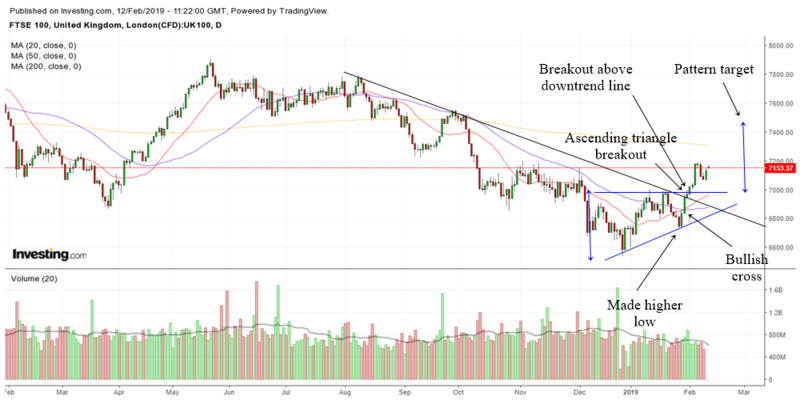 In this page, we will utilize technical analysis to see what is happening to UK's stock index, FTSE 100 and to see where it is likely to go. We will look at the short term picture, the mid term picture as well as the long term picture for UK's index. Along with the US market, the FTSE 100 has bottomed and managed to climb higher. The chart above shows the daily chart of the FTSE 100. There are a few positive signs for it. The FTSE 100 tells us it is starting a new uptrend after the sell off. However, it is still below the daily 200 MA and this might make it difficult for the index to climb higher in a smooth fashion. A possible pattern target is the ascending triangle target. The top of the ascending triangle pattern is the new support and if FTSE is able to stay above this area, then it is likely to continue to climb higher. The chart above is the weekly chart of FTSE 100. The recent bottom was marked by the weekly bottoming tail. Interesting reversal points can be given by the weekly chart. 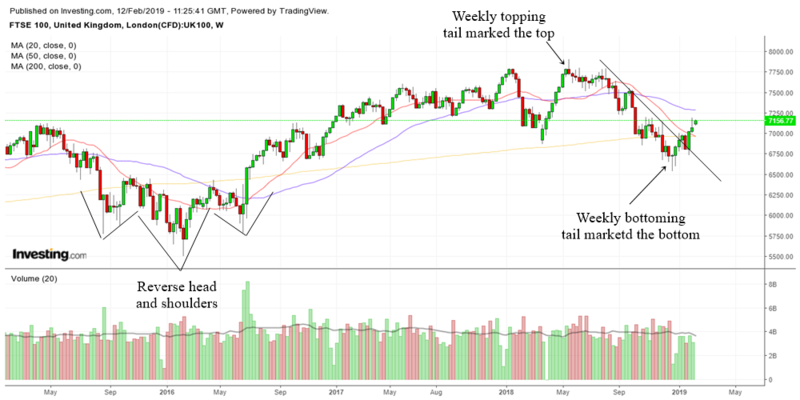 The top of the market was marked by a weekly topping tail. 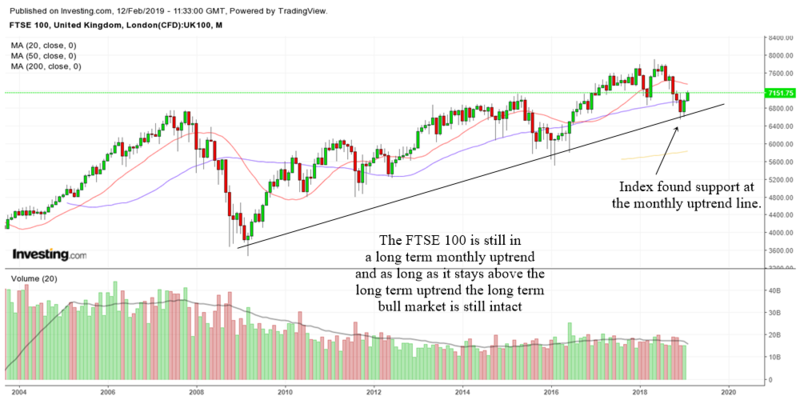 It is when we zoom out into the monthly chart of FTSE 100 that we realize that the long term bull market in UK equities is still intact. The index found support at the monthly uptrend line. Despite the gyrations, the UK's long term bull market can be considered still alright as long as it stays above the monthly uptrend line.